A staff of knowledgeable cleaners will arrive at your property or home right after you have moved out your stuff, and will start cleaning every space through top to bottom in accordance to our pre-approved tenancy cleaning checklist. There is no time limit for this specific service, so each of our team of cleaning employees will stay until every single deep cleaning job has been completed and checked out the cleaning list. They have all of the equipment, resources and cleaning alternatives needed to provide a top quality one off cleaning service. We provide a 48 client satisfaction guarantee for this particular cleaning service, so when you are a landlord or property manager and you may have a complaint, we will return and re-clean the property for free! For the landlords and estate agencies, we offer specialized standard cleaning and pre-tenancy cleaning services also. The more of our services you reserve - the bigger the discounts you will get for them, so make sure to book our end of tenancy cleaning service or a combo of our services today! Excellent Carpet Cleaning has more than a decade of experience with move out cleaning. We have checked and worked with numerous estate companies and landlords to create a complete end of tenancy cleaning register with all the possible cleaning jobs that need to be finished just before the bond is returned. Our cleaners are qualified to carry out all security and excellent methods, complete all cleaning jobs on the register and use only the modern cleaning machines, tools and safe cleaning options for the move in and out cleaning service. We offer tenancy cleaning to individual and business clients in the whole South Bank SE1. Our clients are: renters, property owners, organizations, persons who are buying or selling a property and others. Our services are fully covered by insurance, and the insurance is included in the price. The booking procedure is effortless and also quick. Call 020 3404 0500 or use the online booking request form right here. We are accessible 24/7 and will process it within the next Two hrs. No advance payment is required. The cost is fixed, no hidden fees. Our regular clients, property companies and property owners get useful costs. 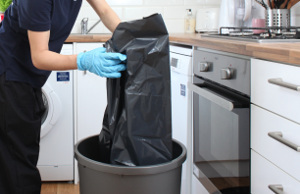 We provide a forty eight hr customer assure, so if you need to be certain that you get your tenancy deposit back in full, make sure to let us do the relocating cleaning for you!